For future ways to get involved with our Smart Cities Challenge and to read the Surrey and Vancouver Smart Cities Challenge Final Bid, visit https://www.smartertogether.ca. This event is an initiative of the Surrey-Vancouver Smart Cities Challenge collaboration, a national digital technology competition. 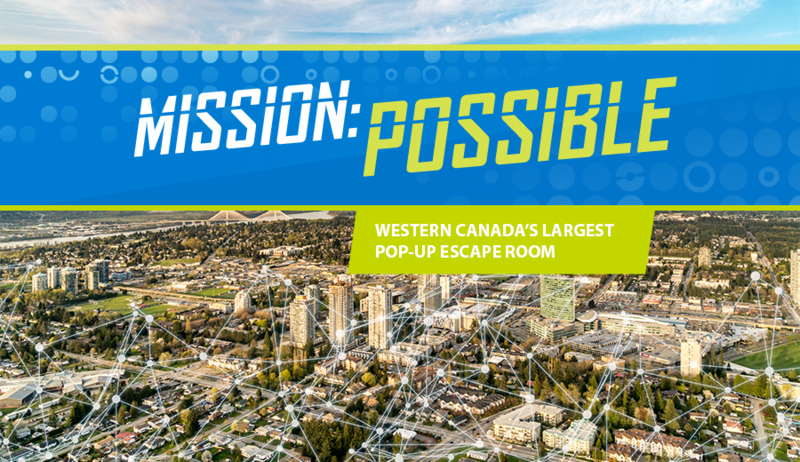 Participating in Mission: Possible will help Surrey and Vancouver in their bid for the $50 million prize. Learn more about the challenge at https://www.smartertogether.ca.